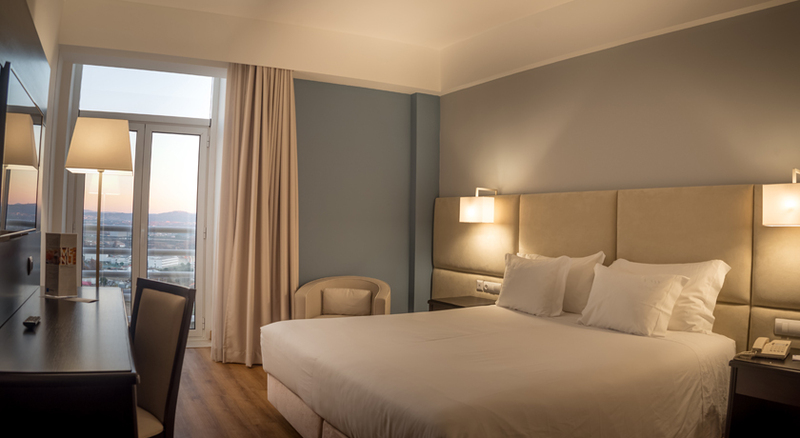 Located a short distance from the Covilhã he train station, the university, the Hospital Central and the main tourist attractions (Serra de Estrela / Belmonte / Sortelha / Naturlejo Geopark), the TRYP Covilhã Dona Maria Hotel is the best option for discovering and exploring Covilhã, thanks to its excellent location, its complete and comfortable facilities, and the quality of its services. The TRYP Covilhã Dona Maria Hotel provides free high speed WiFi internet throughout the hotel; a Spa with heated pool, hydromassage, sauna, Turkish bath, gym, massages and beauty treatments; different dining spaces (Restaurante Conde Julião | Lobby Bar); a large bright hall with different spaces; a small garden; exterior parking and covered garage; as well as 3 meeting rooms with natural light and a maximum capacity for up to 400 people. "Located in the charismatic city of Covilhã, known affectionately as the Gateway to the Serra da Estrela."